It was a “sweet” start to Valentine’s Day for Shrinking Man! His weight is down again, although it was slower this time since he was away at conferences and a mini vacation. He also had a lot of catching up to do when he returned, so the new exercise equipment didn’t see much action. Now he’s back on track! His stats appear below. 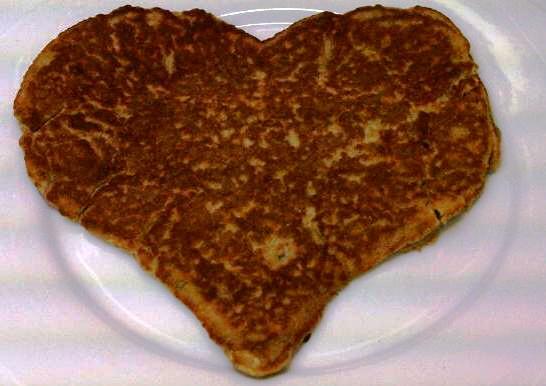 Here is the recipe for the Low Carb Flax Seed Pancake. Shrinking Man likes to mix 1 tablespoon of low carb jam with 1 and 1/2 tablespoons of water to make a fruit syrup. Microwave for 45 seconds. How sweet it is!